Looking to get out to Yankee Stadium? Of course you are. Go ahead and plan your trip out to the Bronx, but consider holding off on purchasing the tickets until just before game time. According to Rukkus, a website that helps people find the best ticket deals for events, the best time to buy for Yankees game is an hour or two before it starts. This recommendation is based on over a thousand of the Yankees' most recent games, Rukkus told me. But that's not always the case. When I purchased tickets to Mariano Rivera's and Derek Jeter's last home games over the last two years, it was months in advance. In both instances I reserved my seats minutes after the retirement announcements came. In Jeter's case, it was actually before he shared a letter announcing his retirement on Facebook. First, he changed his Facebook page's cover photo, and at that point we knew it was time to buy tickets ASAP. At the day of those games, our tickets were valued at 10 times what we paid. Buying MLB tickets can be tricky, but typically it's best to wait till the last minute to buy them. 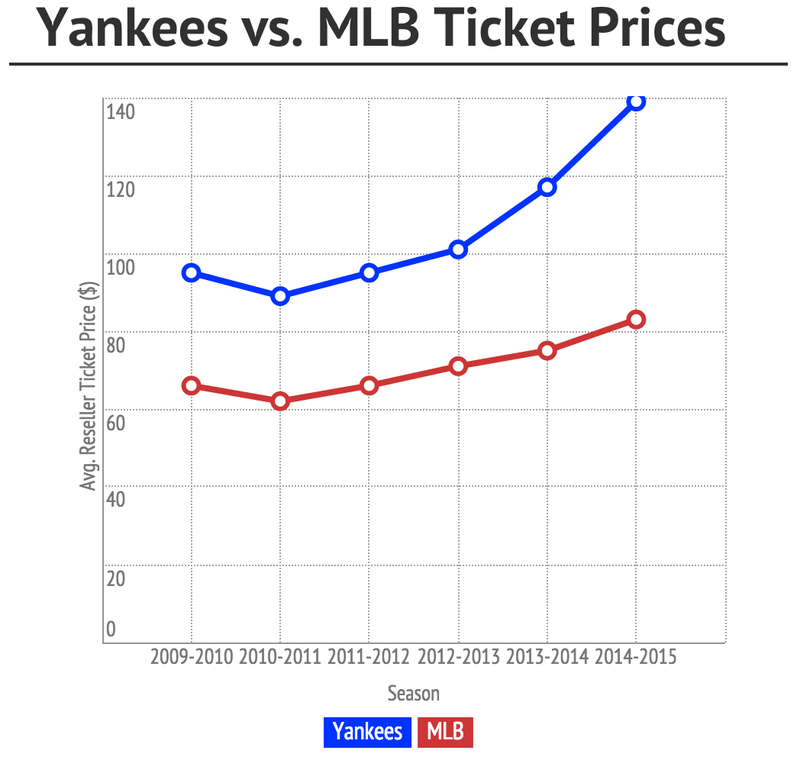 Unfortunately for Yankees fans, ticket prices have soared over the last few years (well above league average, see chart below from Rukkus), and that's likely due to Rivera's & Jeter's retirement campaigns. Now that they're both gone, I'd expect prices to fall this year but it's too early to tell.